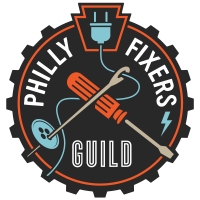 Are you interested in being part of the Philly Fixers Guild? Even if your skills don’t lie in the realm of repair, we welcome anyone who can offer their time to assist with our Repair Fairs! THANKS FOR HELPING OUR COMMUNITY! !